Over the past few weeks, you have heard so much about “Lullabies from the Heart.” Everything from why we chose the songs to stories that inspired the project and even posted polls about how you relax. Now, we think it is time for you to hear from the centerpiece of this project. The incomparable voice of Robert Robinson. The voice that soothes like no other. The voice that is a true gift from God. On Saturday, Sept. 21, you can hear directly from Robert as he is interviewed by none other than the Grand Deeva Dee Henry Williams on her show “A Great Blend of Watercolors” on KFAI Minneapolis/St. Paul 90.3 and 106.7. If you don’t live in the Twin Cities, you can still listen online at KFAI.org. 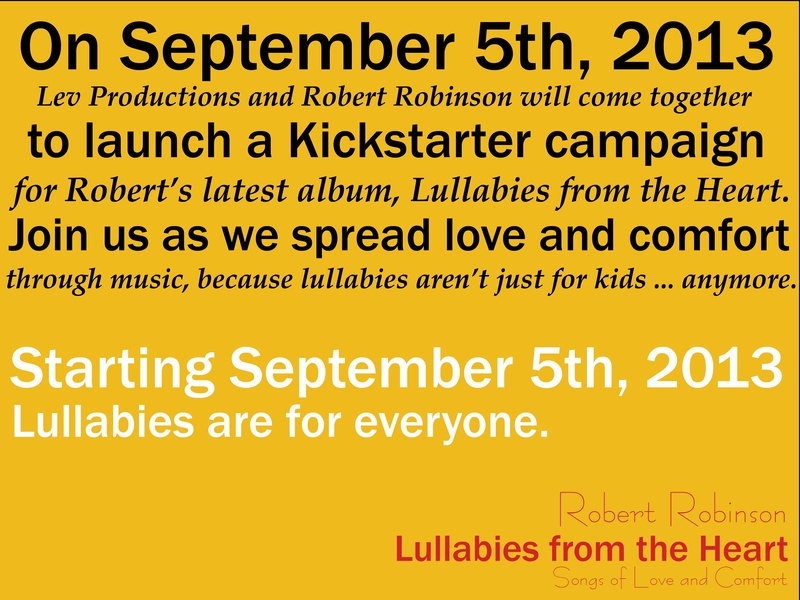 Robert will be joined by the creator of “Lullabies from the Heart,” Rafael Forbush. You may even get to hear some of the songs from the project. We are so excited to share these songs with the world. We know they will bring about peace and comfort for many. They will also be giving away a couple of CDs, so be sure to tune in. Of course, we would love to know you are listening so let us know on Twitter and Facebook. Please join us in the conversation by using #LullabiesFTH when you post.